Full Height Wire Mesh Lockers With 1, 2, 3, 4 Or 6 Compartments. 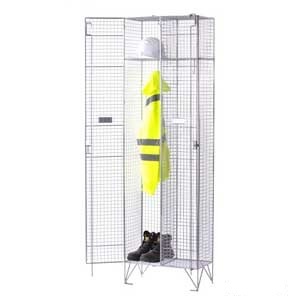 For many businesses a locker is an essential piece of equipment that provides employees and visitors with a place to safely store their clothes, valuables and other items. 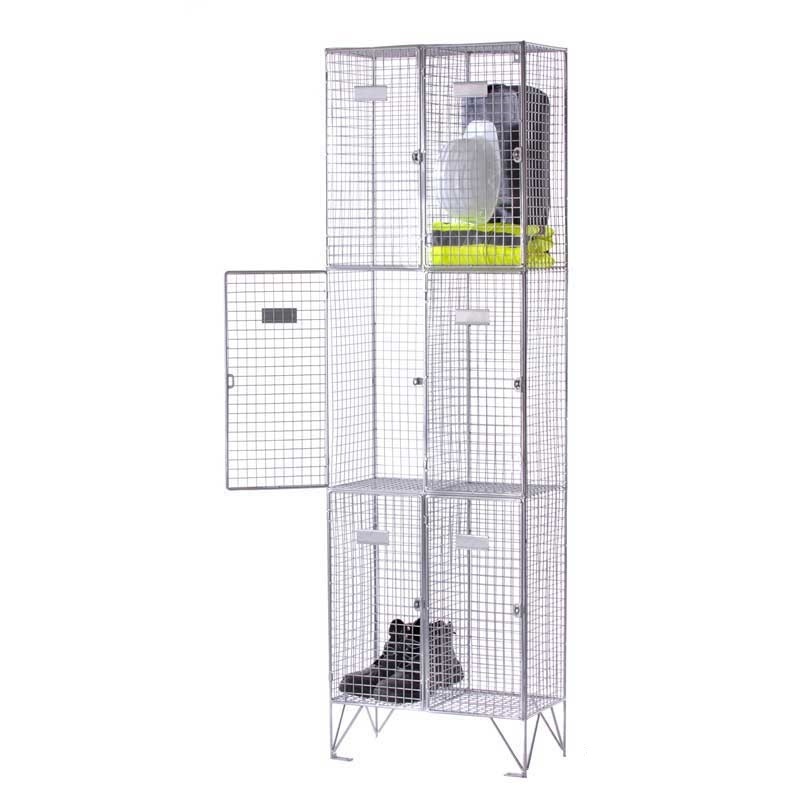 Whether you're a building firm, factory, gym or another leisure facility its incredibly likely that your employees and visitors will use lockers to store their personal items. 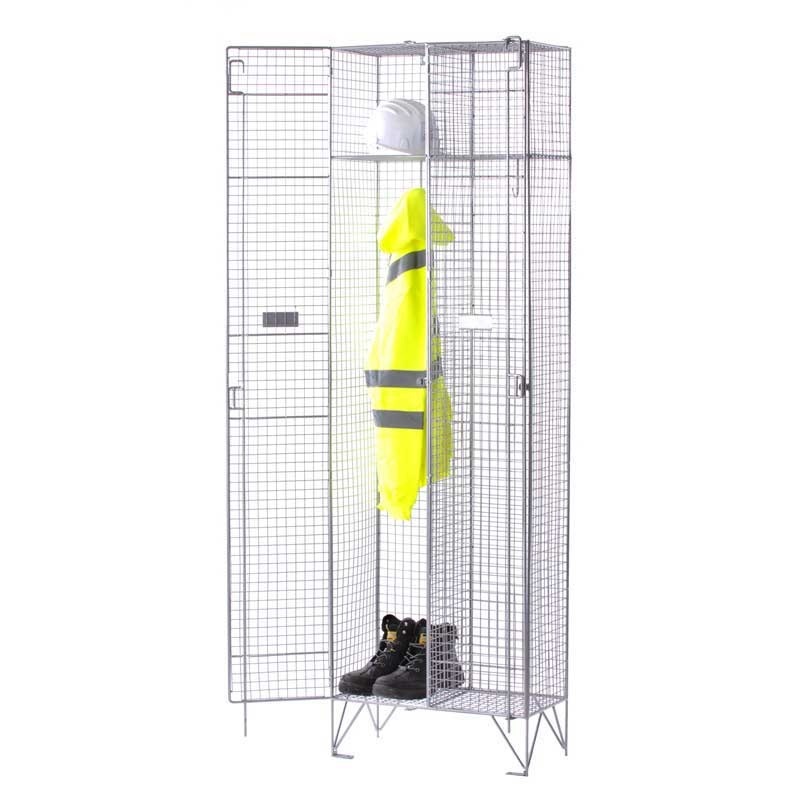 Wire mesh lockers are a popular alternative to more traditional storage lockers, their 'see through' design allows anyone to see the contents which may be useful especially in security concious environments as well as clean rooms. 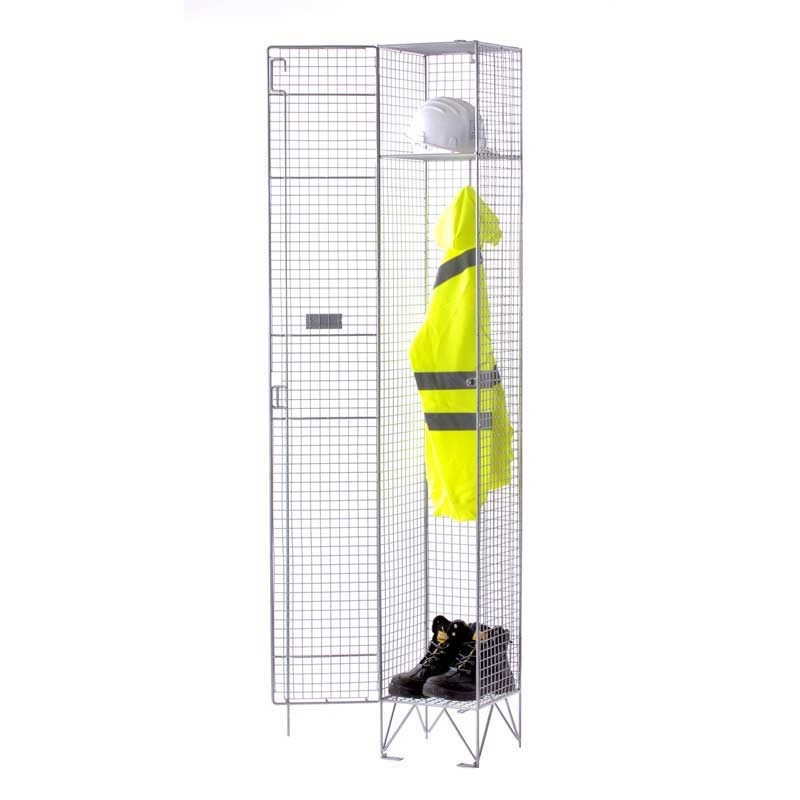 Despite the 'see through' design these wire mesh lockers are still incredibly practical and durable, they're manufactured using 25mm x 25mm x 2.5mm welded mesh which is supported by a 8mm thick solid rod frame. 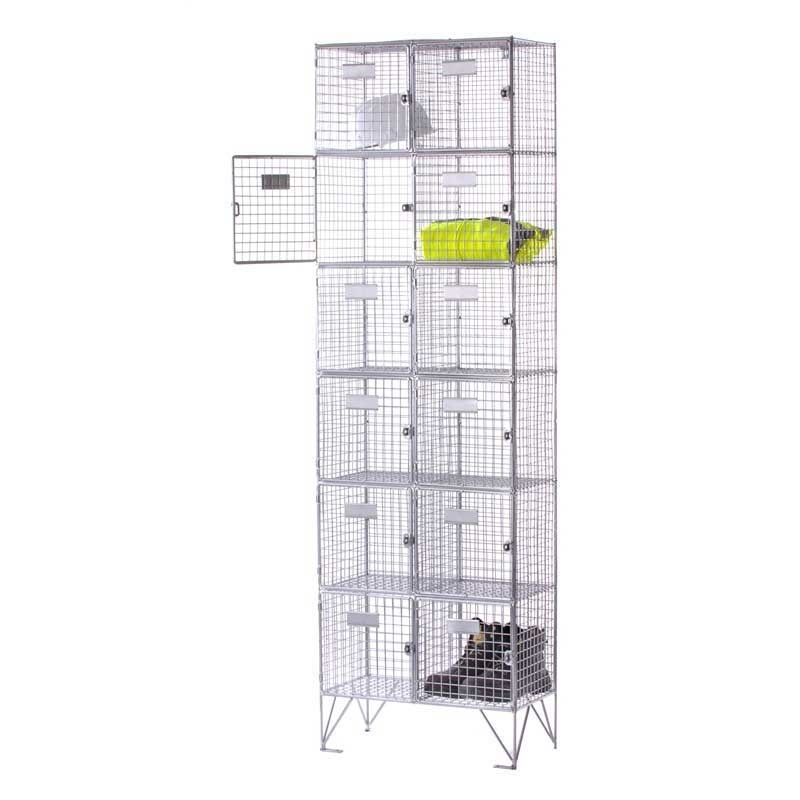 Each of these wire mesh lockers is 1980mm high and is available with 1, 2, 3, 4 or 6 compartments per locker. Each compartment is fitted with its own lockable door for security which also features a hasp and staple lock (padlock available at extra cost). 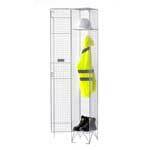 The single and double door lockers have 3-point locking while the other configurations have single point locking. 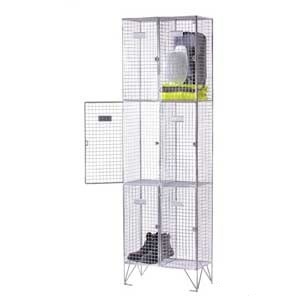 For a hard-wearing, attractive locker each of these wire mesh lockers is powder coated in a durable silver colour while the compartment doors are fitted with their own name plate. To fix these lockers in place after delivery we'll also supply floor and wall fixing brackets.